Welcome to blooming friday.The intense heat of 110F is not allowing plants to settle right now but some tough beauties are still hanging out there. Here goes Catesbaea spinosa, frangipani and egg fried tree flowers. 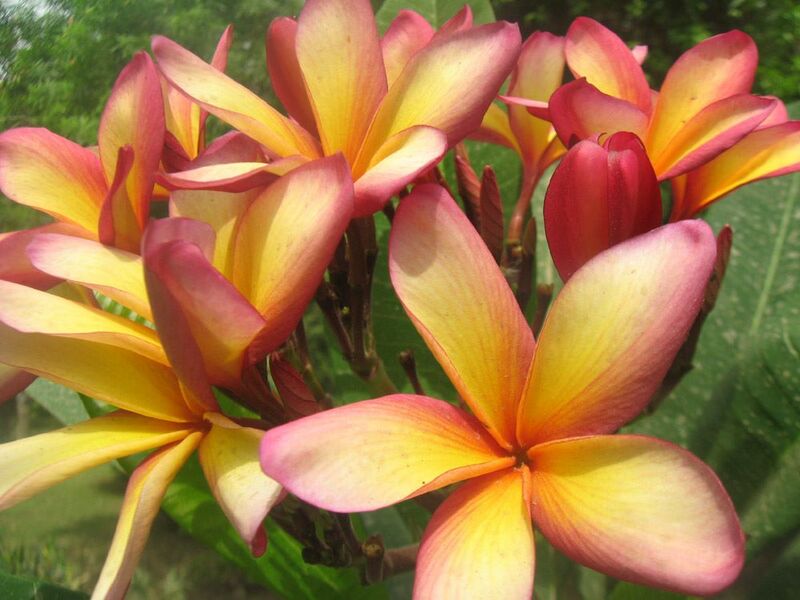 Plumeria rubra also known as frangipani and local name gul-e-cheen is a subtropical fragrant plant. It comes in lots of color with white one the most common. This color is not so common but most beautiful of all. Water lilies are another tough beauty blooming profusely. 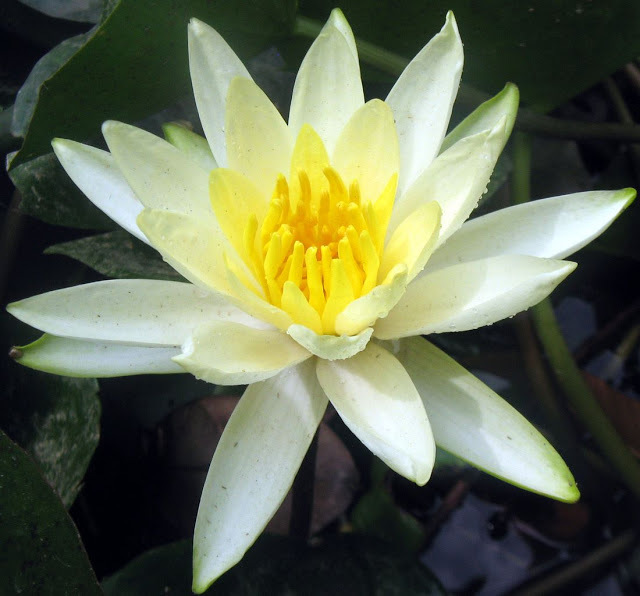 These white water lilies are shot at botanical garden of the Government College University lahore.They do not appear to be tropical ones but hardy tropical lilies.They bloom when temperature rises above 70F. Growing inside a large pond. 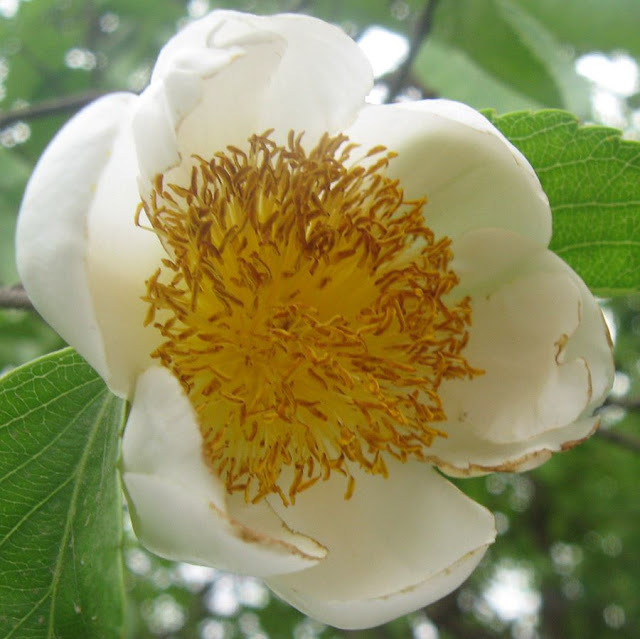 This flower is what we commonly call fried egg tree. The name implies the appearance of fried egg. Bees love its blooms. It was shot at lawrence gardens lahore. Botanical name Oncoba Spinosa,this one has small spines over the trunk of the tree but not too hard. And last but not least is Lily thorn having botanical name catesbaea spinosa. 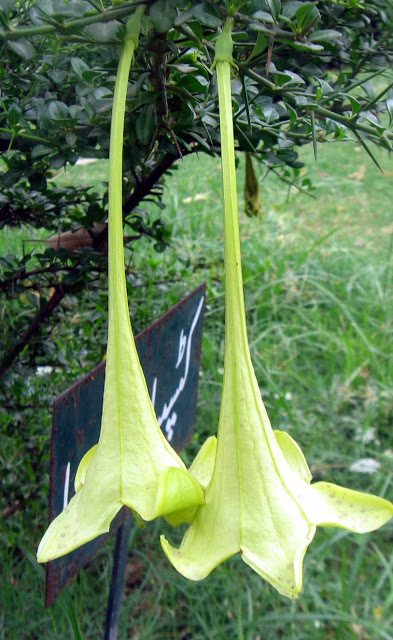 I had thought that only fuchsia and brugmansias having inverted flowers but the list has gone one more step now. 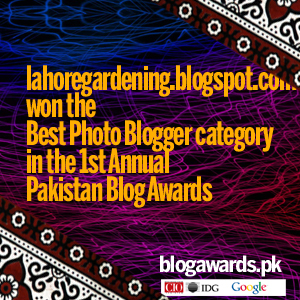 These are also shot at Lawrence gardens lahore.